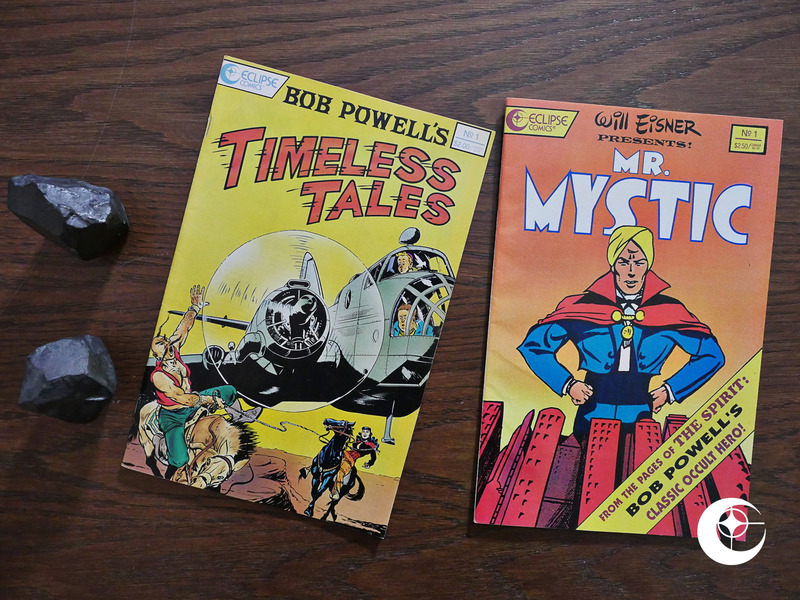 Bob Powell’s Timeless Tales (1989) #1, Will Eisner Presents (1990) #1 by Bob Powell et al. How odd. Two random reprints of Bob Powell material. 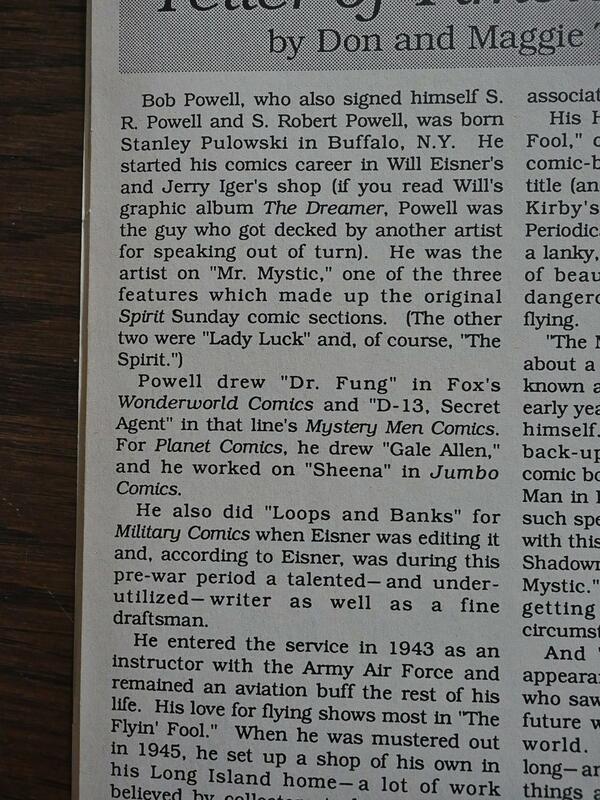 Powell worked at the Eisner/Iger shop for a while, and then established his own shop later, and he has never been exactly, er, popular. In any way whatsoever that I know of. He produced filler material for a large number of companies, but that’s basically it. 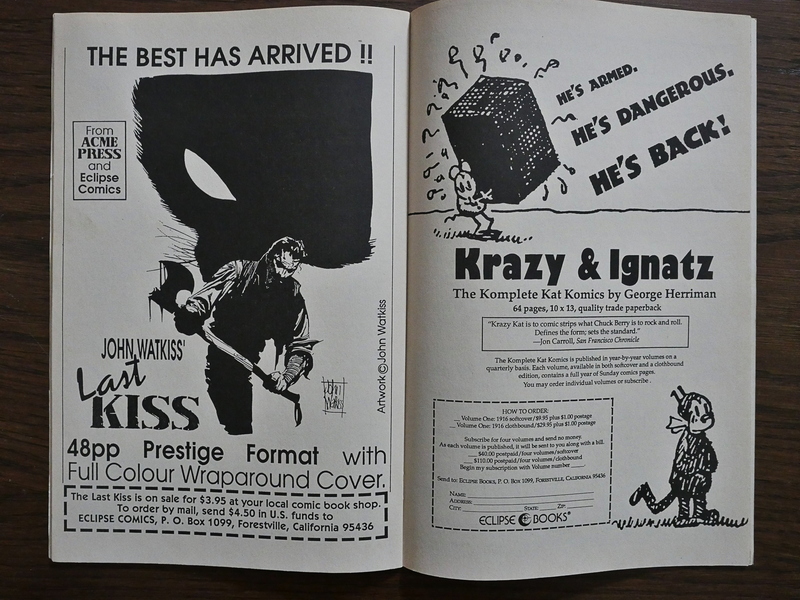 We’re not told when this material reprinted here was produced, but at least we’re told where they originally were reprinted. But comics.org says there are 172 series called Black Cat, so I’m not going to try to find out. 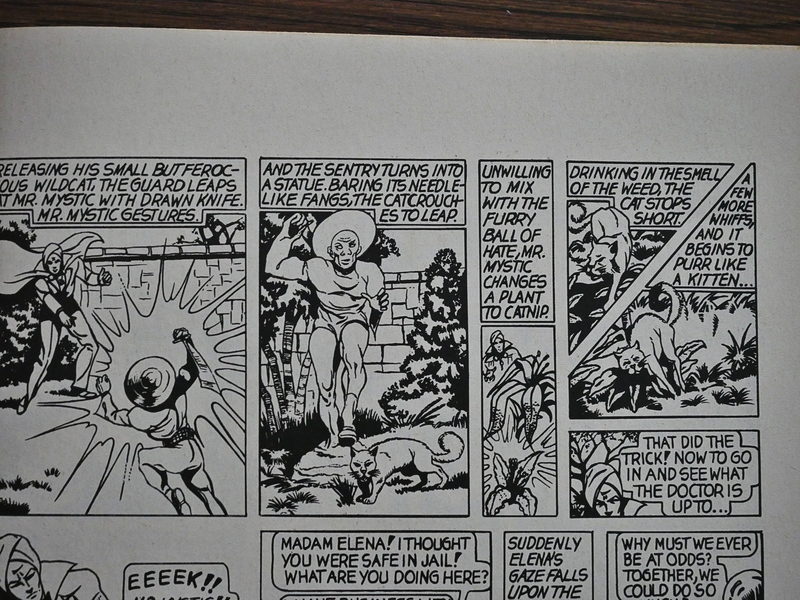 You can see from his artwork that he picked up a thing or two from Will Eisner, but the pages are pretty messy and don’t read very well. There are single panels that I absolutely love, though, but it’s mostly dull fare. 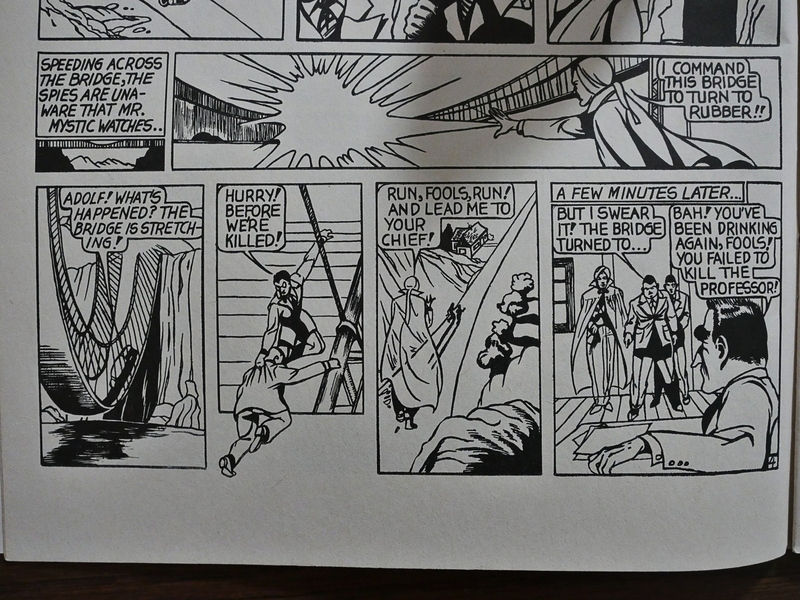 Powell doesn’t really keep the characters consistent and while he tries to jazz up the composition, he just succeeds are being confusing. The fat guy transmogrifies into a silhouette of a thin guy after apparently killing a judge, and then… another person appears? 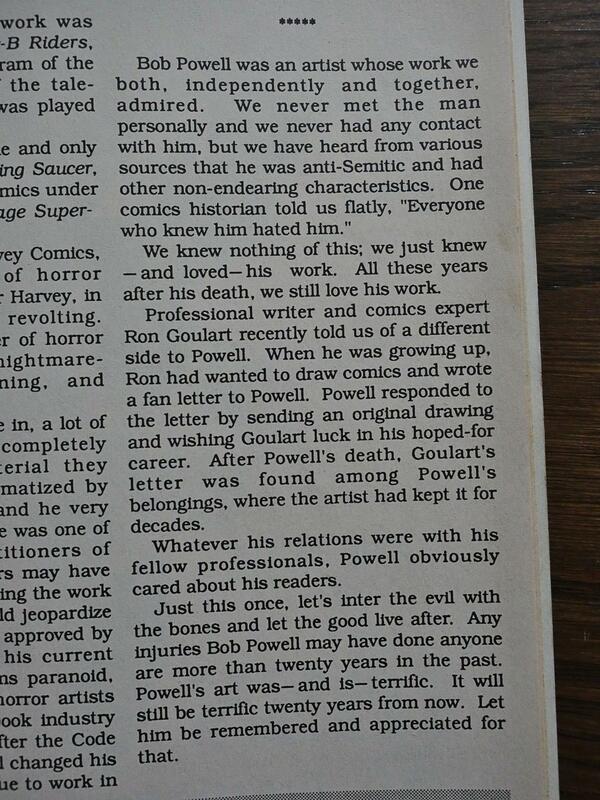 Don and Maggie Thompson were apparently the instigators for this comic, and they provide a career overview that seems to say that Powell didn’t really amount to much, but not exactly in those words. 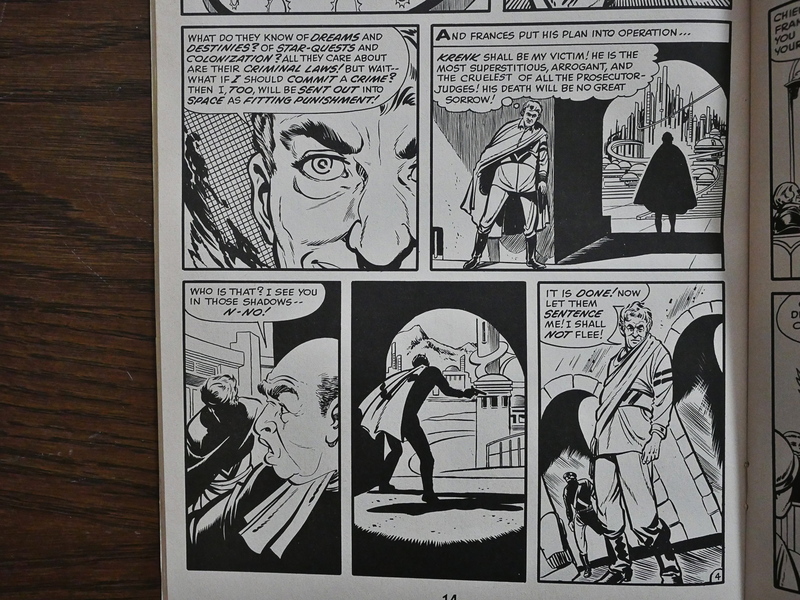 Onto “Will Eisner Presents featuring Mr. Mystic”: Mr. 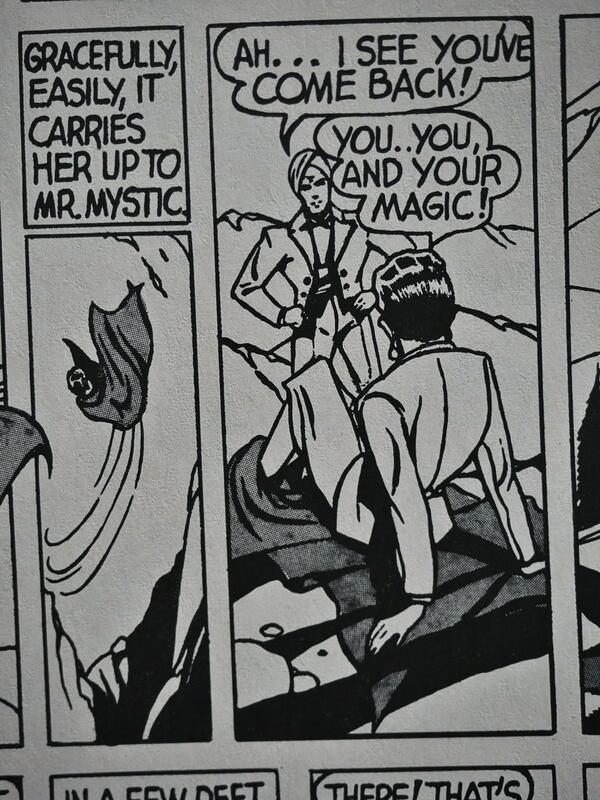 Mystic was filler for the Spirit “comic book” insert. 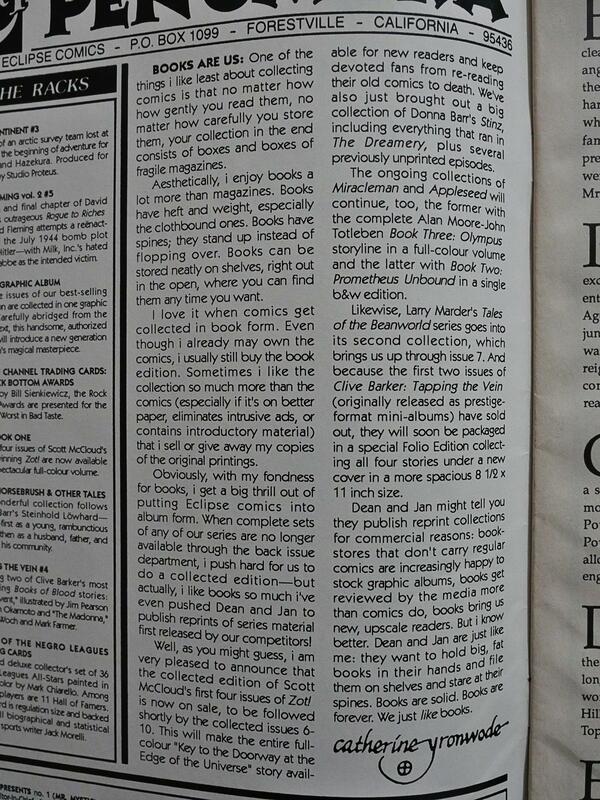 But first: cat ⊕ yronwode tells us that books are better than floppies. In a floppy. 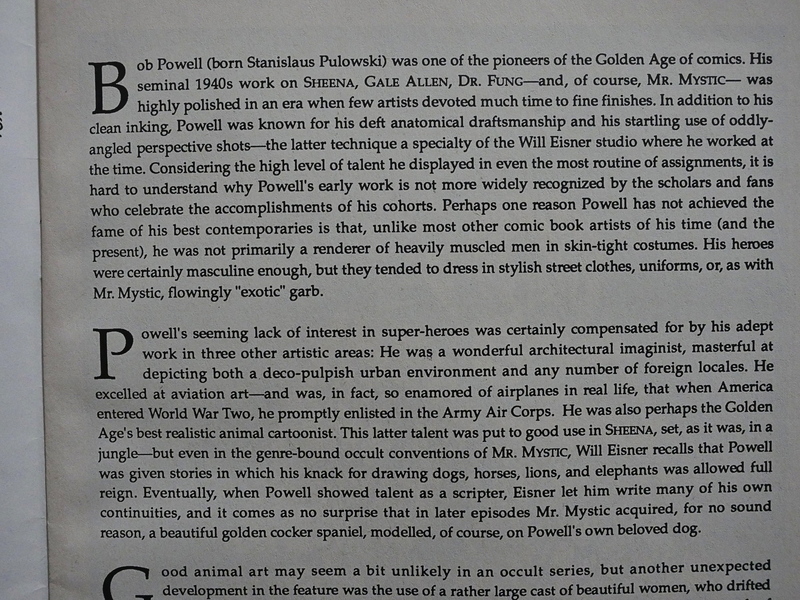 yronwode and Dean Mullaney does a more laudatory Powell introduction here than the Thompsons did in Timeless Tales. Mr. Mystic is basically a guy with magic powers who can do anything, so he does… anything, like turning a bridge into rubber, so that the villains he’s following have to… walk… back to their lair… instead of driving… which is better because… it’s slower and… er… Uhm. All these stories are monumentally moronic, and not in a fun, campy way. There’s no limits to Mr. Mystic’s awesome super powers, so there no tension: Villains try to do villain stuff, and he waves his fingers, and things are resolved. I guess that’s up to you do decide. 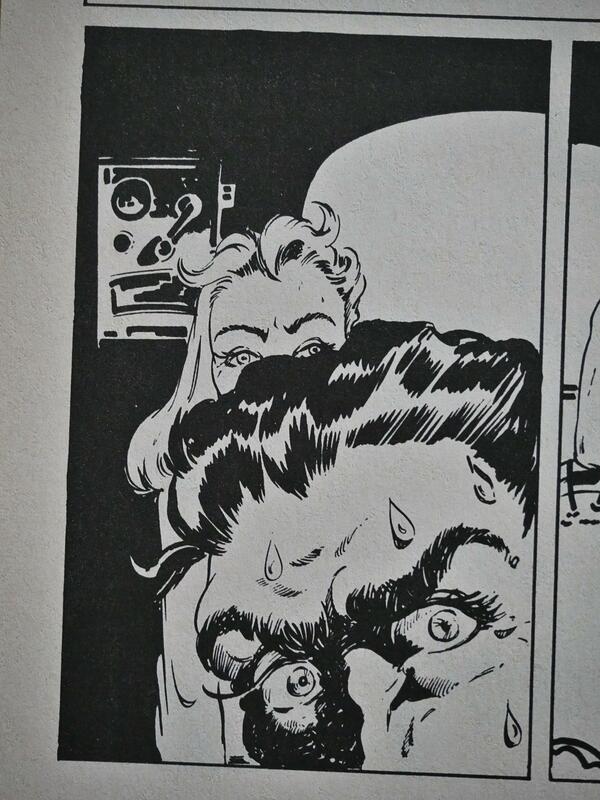 The artwork (which is from much earlier in Powell’s career than Timeless Tales) is stiff and charmless. 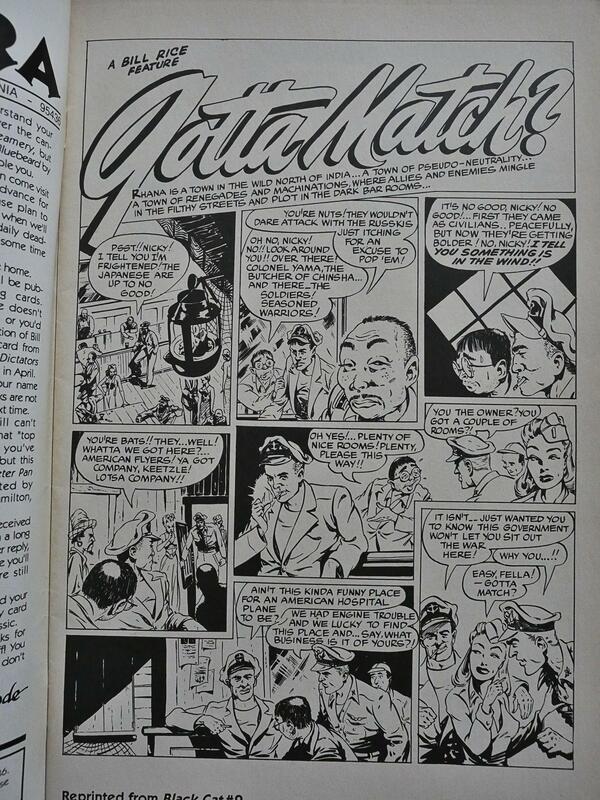 These stories have apparently not been reprinted anywhere after this.